We the Living is Ayn Rand’s first and least-known novel. It is the story of a young woman, Kira Argounova, who is solemnly dedicated to living her own life. But she is trapped in a collectivist dictatorship that declares the individual is nothing and the group, everything. Set in Soviet Russia just after the communist revolution, We the Living not only depicts the chilling, day-to-day reality of life under totalitarian rule but also celebrates the unconquerable human spirit. What qualities of the story’s heroine, Kira Argounova, set her apart from the other characters? Why does Leo Kovalensky disintegrate in the way that he does? Why do the other communists want to get rid of Andrei Taganov, an honest man ardently devoted to their cause? What role do the more minor characters play in helping Rand convey her theme — and what is that theme? Why is We the Living not essentially a novel about Communist Russia? College and high school students studying the novel will find this course especially valuable, but the material is designed to interest all viewers wanting to learn more about the novel, Rand’s ideas and her critique of communism and collectivism. You may take the whole course in sequence or select lessons of particular interest, since each lesson is a self-contained module. Teachers who wish to use the course for classroom instruction are encouraged to select lessons most relevant to their instructional goals. Spoiler alert: This course assumes that students have read We the Living. 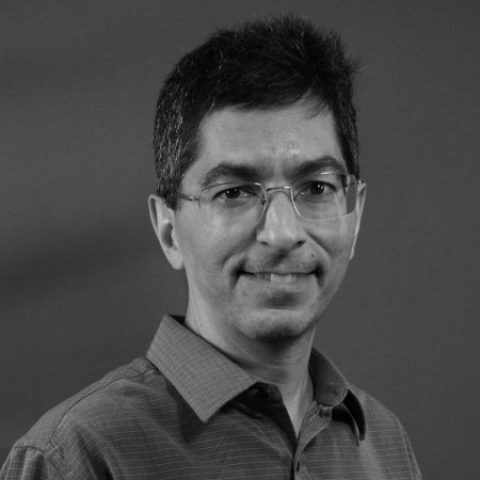 Onkar Ghate is the chief philosophy officer and a senior fellow at the Ayn Rand Institute. He is the Institute’s resident expert on Objectivism and serves as its head trainer and editor. He has taught philosophy for over ten years at the Institute’s Objectivist Academic Center. Dr. Ghate is a contributing author to a number of books on Rand’s fiction and philosophy, including Essays on Ayn Rand’s “The Fountainhead”; Essays on Ayn Rand’s “Atlas Shrugged”; Why Businessmen Need Philosophy: The Capitalist’s Guide to the Ideas Behind Ayn Rand’s “Atlas Shrugged”; Concepts and Their Role in Knowledge: Reflections on Objectivist Epistemology; and “A Companion to Ayn Rand (Blackwell Companions to Philosophy).” His op-eds have appeared in venues that range across the ideological spectrum, from Huffington Post to CNN.com to Foxnews.com and Businessweek.com. He’s been interviewed on national and international radio, including NPR and BBC Radio, and has appeared as a television guest on CNBC, KCET, Fox News Channel and the CBS Evening News. A Canadian citizen, Dr. Ghate studied economics and philosophy as an undergraduate student at the University of Toronto and worked in the financial industry prior to joining ARI in 2000. He received his doctorate in philosophy in 1998 from the University of Calgary.